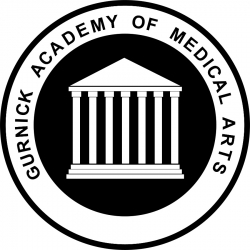 Los Angeles, CA, March 18, 2019 --(PR.com)-- Gurnick Academy of Medical Arts, a well-established allied health and nursing school, is opening a campus in the Los Angeles area. The campus will have an imaging focus offering an Associate of Occupational Science in Radiologic Technology and an X-Ray Technician with Medical Assisting Skills diploma program. Gurnick Academy recognized the need to help the displaced students after the recent abrupt Brightwood College closure. These displaced students will continue their studies as Gurnick students beginning March 18, 2019. These students will complete their program with only a short delay. The Associate in Occupational Science in Radiologic Technology Program includes didactic and laboratory training as well as a clinical internship that correlates with the theoretical knowledge. This program is designed prepare students for employment in the field of radiologic technology as certified radiologic technologists. To this end, the program emphasizes the knowledge, skills, and entry-level competencies appropriate for examinations required by the State of California Department of Public Health, Radiologic Health Branch, and the American Registry of Radiologic Technologists (ARRT). The Limited X-Ray Technician with Medical Assisting Skills is a diploma program that prepares students for work in a physician's office, a chiropractic office, a clinic, or a hospital. Jobs may also be available in private medical practice, industry, and government service. Duties may include performing chest, extremity, and torsoskeletal x-ray procedures. To learn more about the Los Angeles Area Campus, please visit gurnick.edu.